Cross country skiing brings movement in your life. Enjoy our breath-taking countryside with a relaxing atmosphere and escape your everyday routine. Cross country skiing is one of the most healthiest forms of exercise. The pressure on your ankle-joint will be minimalised by the gliding phase of the ski. It is a fantastic work-out for heart and veins while most of your muscles will be used. Ideal for a starting sportsman or for a more intensive form of sports in the winter. You will have a good time. New sales item available upto December 2017! In addition to our GIVE AWAYS, as well as Keycords, key chains, caps, mascots and pencil case, we have a new sales item "BILLY HELMET COVER" upto winter 2017/2018, so that "Billy" will be always with the children during the skiing. Available in our ski school offices upto the middle of December 2017. For our advanced children (can brake and can make good turns) we have an extra new meeting point . You can choose which Meeting Point you prefer. 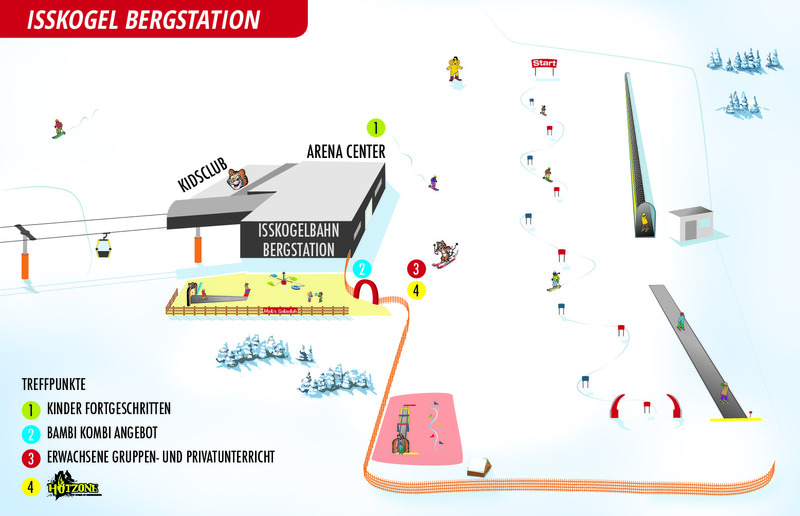 You can bring your child to the Isskogel valley station 09.30 or at 10.00 to the Isskogel mountain station “Arena Center” (above the building). You can indicate the meeting point of your choise during the online booking process. Did you always want to try snowboarding? Then now is your chance. After taking part in a 5-day ski course, you can add a day of snowboarding for only € 30,- (excl. lunch). Maybe you will turn ou to bee a real snowboard Shreddy. Offer is for children from 6 years. Our Goal is, to provide our Clients with a stress-free arrival. You can book your desired ski course from your Couch, at home. Looking for an original gift? Maybe Michi's Schischule gift voucher is something for you! 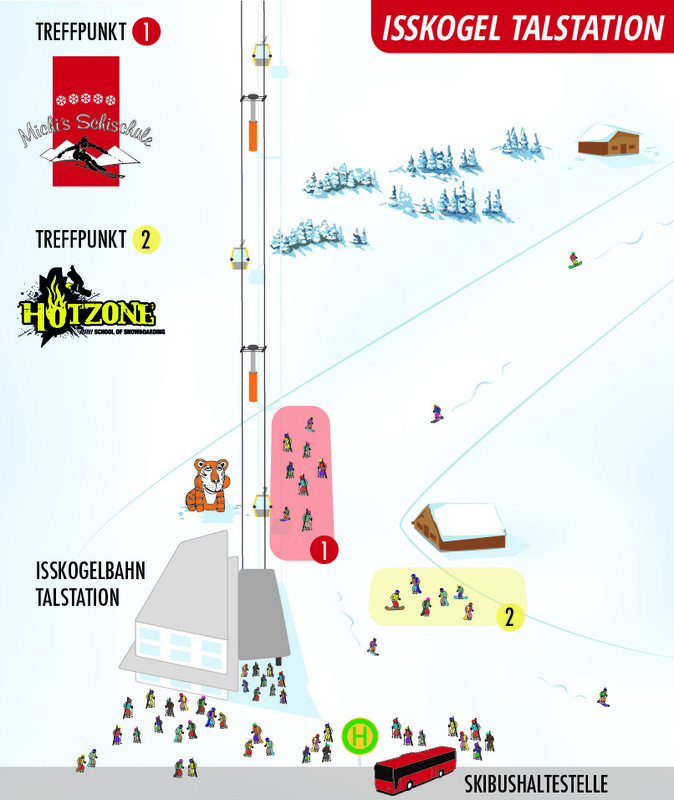 From January 6th 2019 till March 10th 2019 the ski show takes place every Sunday at 20.30. 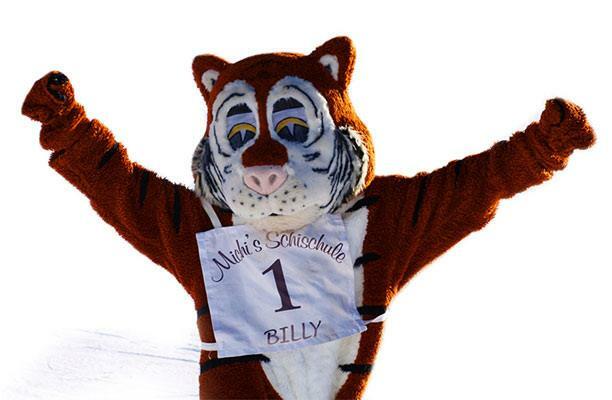 A special kids disco for all children of Michi's Schischule with our mascot Billy! We provide dedicated ski instructors, who can help to take away your fear of skiing. They will offer you security during downhill skiing.